First, I have some bad news, and you can see more details of what’s been going on with me this week over on Instagram. So head on over there, if you want the longer version. The short version is that I broke my left leg (both the fibula and the tibia), and I broke the pinky toe of my right foot. It was a bad spill on a slippery piece of slate at the bottom of our deck stairs. A freak accident. Much love goes out to my town’s police and rescue squad who got me onto a stretcher, took care of my kids, and to the hospital lickety-split. 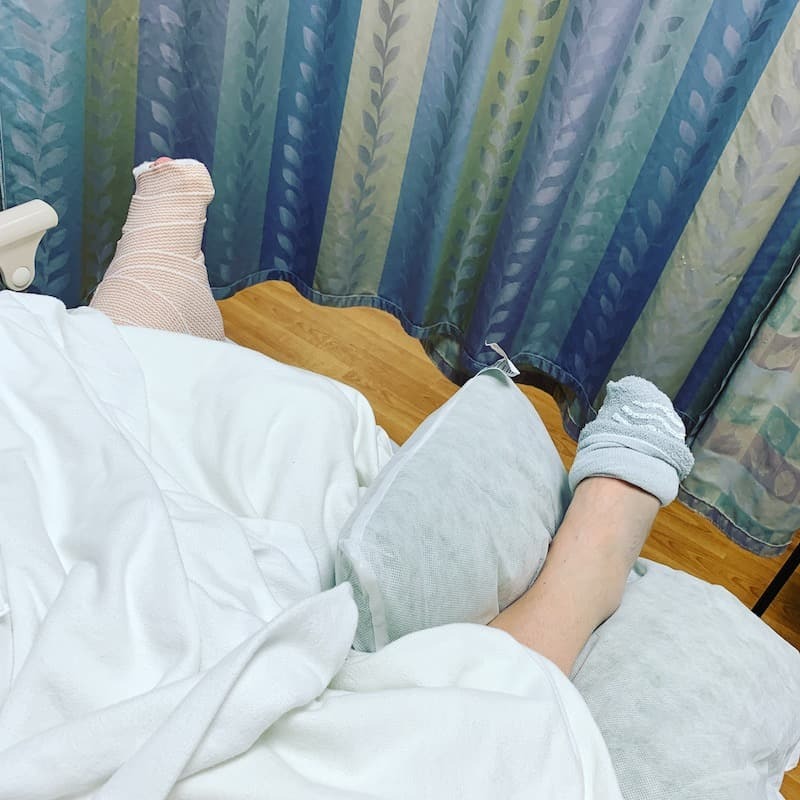 I had to have surgery on my leg and my foot, and that’s done now too. So I’m going to be out of commission for the next few weeks. I’ll do some updates here and there when I can, and I hope to schedule a few posts when I’m not in a lot of pain. THE DAYDREAMER DETECTIVE FINDS HER CALLING is all uploaded and ready to go on each of the sites, so no worries there. I just need to press one button on Amazon to publish the paperback. I had hoped to give you extra content related to the book, but that will have to wait. Maybe I’ll do it in May as a little belated celebration. So, it seems that the sign-up form on my website was broken for a little while. I have no idea how long it WAS broken, though. Maybe back in early February? It was signing those people up for the list but not sending the opt-in emails nor the welcome email. So if you signed up for email updates, and didn’t get the welcome email with the link to download the Nogiku Series Guidebook, I apologize. Please email me using the Contact Form, and your email address that you signed up with, and I will send you the link as soon as I can. I’m checking email a few times per day while I’m laid up, so my response time shouldn’t be too long.